The RSC-2-24VDC is our smallest female threaded, normally closed, 24VDC plastic solenoid valve. This is a 2 way valve with a 2.5 mm orifice and a Cv value of 0.2. The Polypropylene body and EPDM seal are suitable for various media including air, water and other low viscosity fluids. 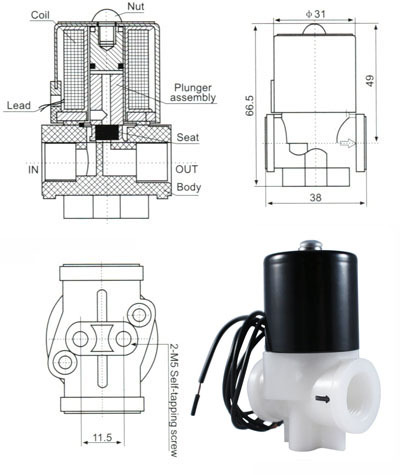 The valve is fitted with wire leads that can easily be connected to a power source.